I'm raising money for a DTS and mission trip with YWAM which will last for more than two months (the mission trip). This is something I felt that God wanted me to go on, and to prepare for it, we will be having lectures, bible study, prayer and evangelism in Paris. We are a class of 4, and it's the best class, and there is a great staff at the base and a sense that God is doing something both on the base and in the neighbourhood area, as the base has got this area in Paris really on it's heart. We spend time here until the beginning of the October, and then we go on outreach. I have some funding, and will se how I can raise funds myself, but I will need support. 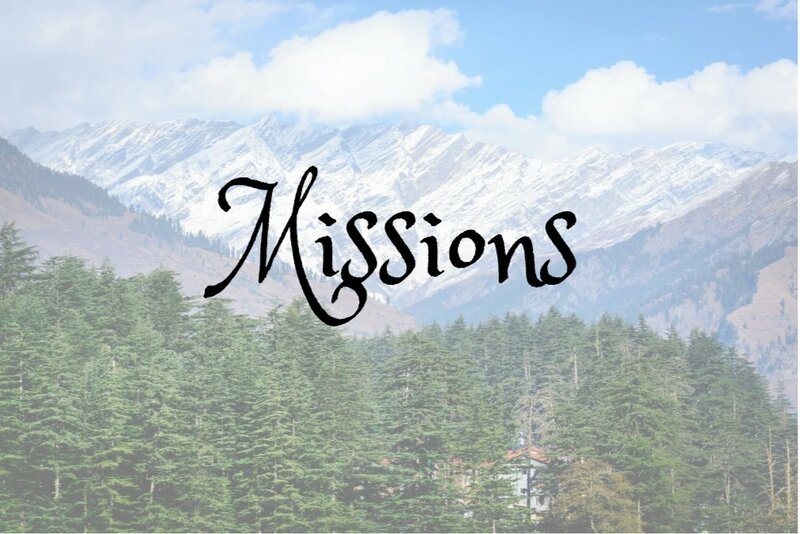 If you have a heart for missions and can contribute by supporting with your money or prayer, or both, it would be a huge blessing. 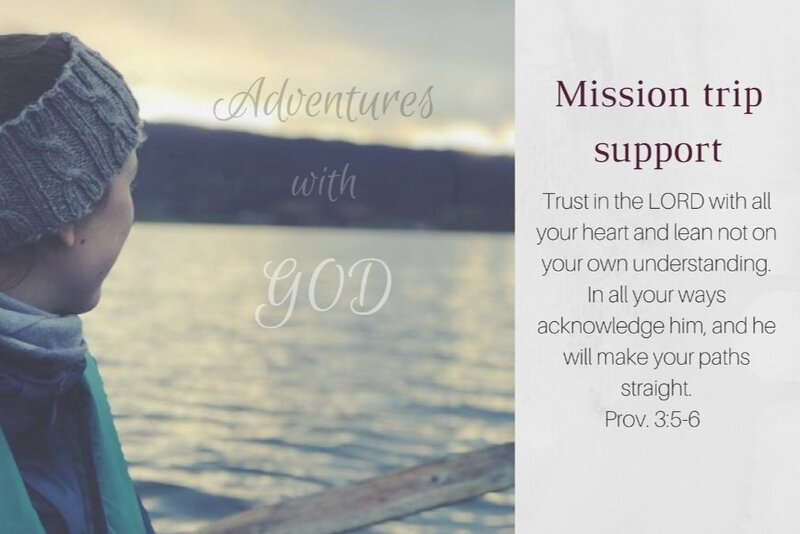 If God is not in on this I don't want to do it, but with my whole heart I pray that I can complete this because, most of all because it's something I felt God wants, but also I myself have prayed to be able to go on adventures with God, and this is really my chance to do it (it even says in the back of the classroom "adventures with God"), and I know it's a chance to learn to trust God much more than before, get to live in and enjoy community and to see God at work more than ever before, in nations I have never been to and see needs I might never have known existed if I never went. We will work with local organisations who know what they're doing, but the purpose of the DTS is to go to places that are hard to reach but have a big need, and share the gospel and preach the Kingdom and make a way for God to work. Do you want to help?? Time for a little update! Life moves both slowly and kind of quickly here at the base, and I want to tell a little bit more of what has happened so far. This is truly an adventure. No day is like the past, I have experienced so much more learning and friendship and about working together and using my faith than ever before. Do you guys know how much you learn in a DTS?? The topics are actually very biblical and relevant and the prayer and worship routines and evangelism we have are brilliant. You get challenged on continually hearing from God, and also the fact that I get to be with people who both challenge and motivate me and even see things in me that I never did. Now I know I did not do everything right and still God kindly was always faithful no matter what. And I keep being a little bit confused as to exactly what is the main lesson God wants me to learn, so if any of you who read would be so kind and pray for it, PLEASE, PLEASE DO!! I really want to be a changed person and I feel the need for guidance and faith every day. For every one in my church I'm happy to be thinking about you. I know God will be doing something very special this autumn and I'm so thankful for it and praying for you all. When it comes to me, I don't know how many times I can say that I really don't deserve any of this, to be able to be on my way into missions or ministry, but I really would want to make my biggest effort to be faithful in it, trusting God and listening to Him. And I would really be thankful above what I can express to receive prayers, because we are just so dependant on it, I know there are many spiritual forces working to get us from going on this trip and I not only want to be faithful, but bold and strong, learn what I need to learn and unlearn what I need to unlearn and have the perseverance needed to keep going. It's with a bit of fear and awe I write this update. I want to tell with the best of my ability, just short though, what it's been like to be here, what I've learned and what God has done. Even the trip here was like a spiritual battle for me, and I was praying quite a lot!! Also the first few days, but honestly most of my days here, I've been praying a lot, and realizing the importance of doing it and doing it consistently. So having had lectures and learned a lot, even been praying together and seeing how we finally start to grow closer (or I with them? since after all I only joined fully in their 4th week of lectures) I am going to be fasting and waiting to see what I can learn, most of all about fellowship, but also about God.. and also evangelism. From I was here in the beginning I was always eager that we should be evangelizing, because I just have understood it's really important to God, and since I was talking about it quite a bit one of my classmates have said that I'm like an evangelist, which is something I have never realized before or thought about myself. Also something that I believed God was either teaching me or putting on my heart just because I would need it, was the need to every day live by faith through the Spirit. Something I learned, I guess, is that The Spirit of God works always when we become sure of something God wants, when we speak about him or worship or pray and most of all if our hearts are pure. And it's the fact that I know that if I could have a way to love God more and come closer to Him while I'm here it would be through loving others, and that's it, it's what we're called to do! !